MILWAUKEE, Wis. (September 26, 2018) — Brady (NYSE:BRC), a global leader in industrial and safety printing systems and solutions, announced today the launch of the new Thermal Heat Transfer (THT) Custom Label Tool. This new tool allows users to easily get a quote and order custom THT labels online without making a phone call. By providing information about the attributes needed for their application, users can create, preview, review pricing and order custom THT labels in less time than it would take to call in and complete the order. 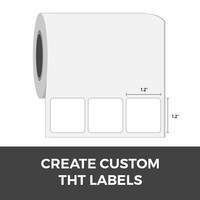 To learn more about this tool, visit BradyID.com/Customlabels.